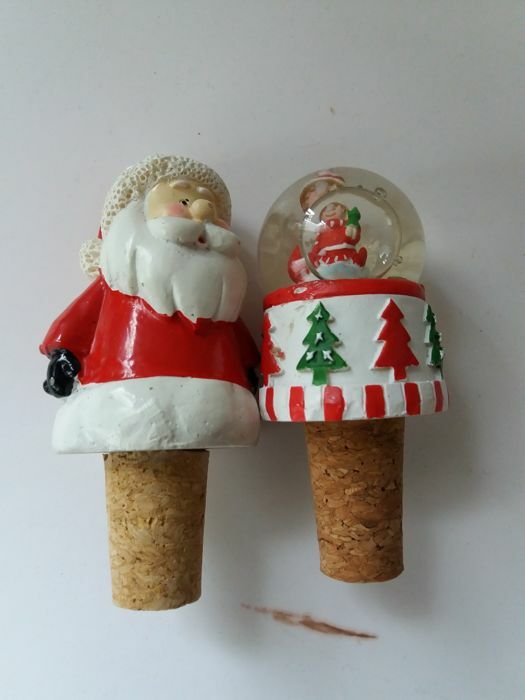 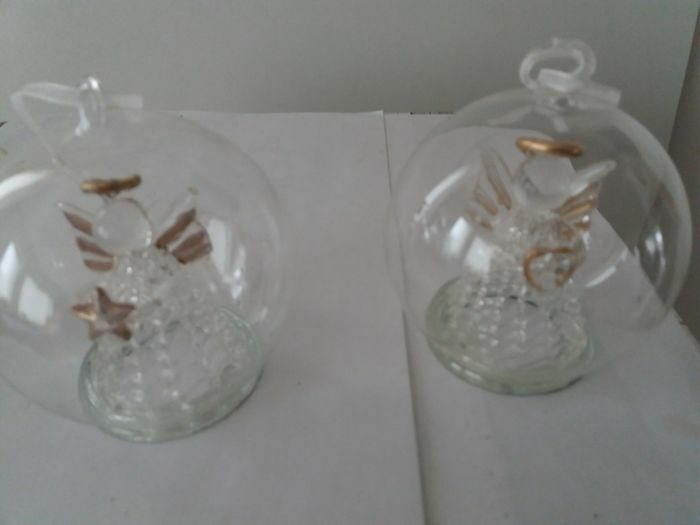 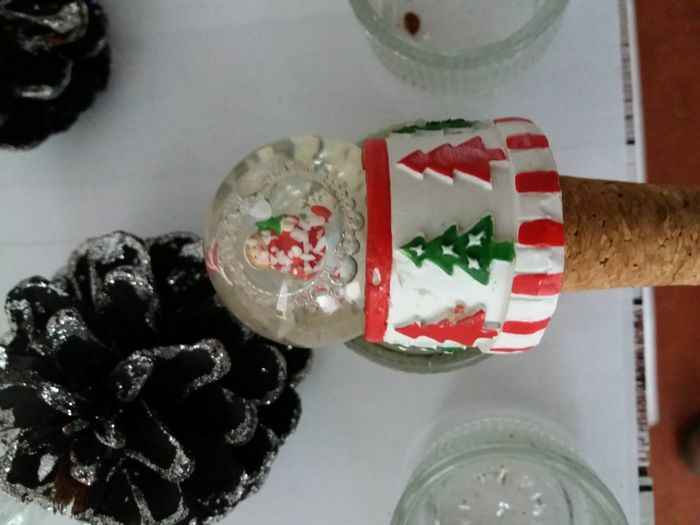 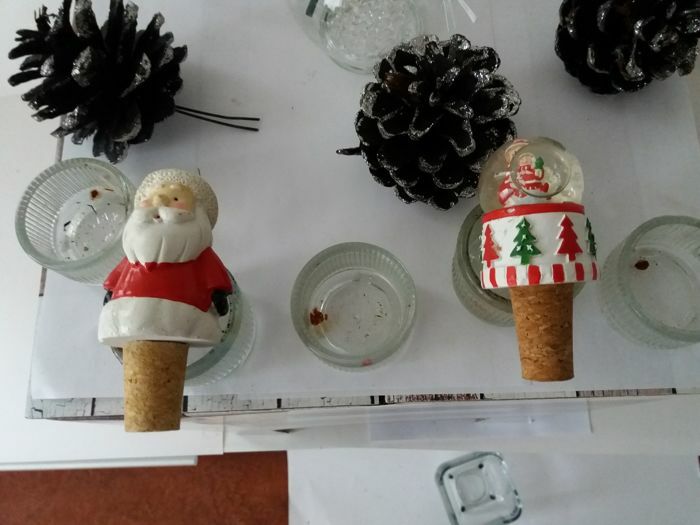 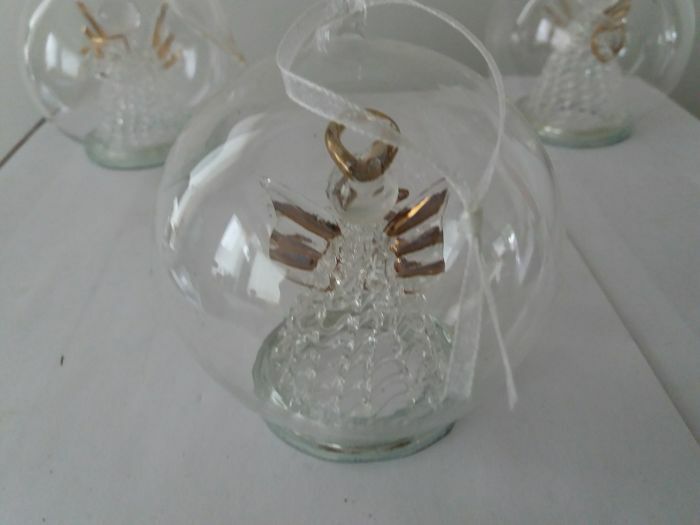 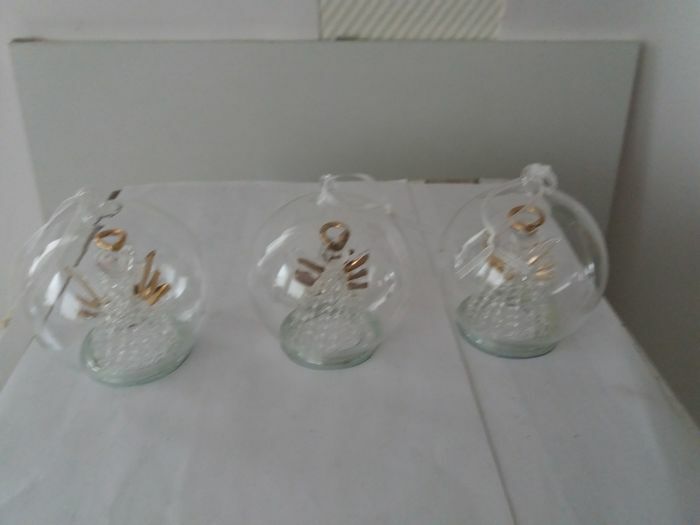 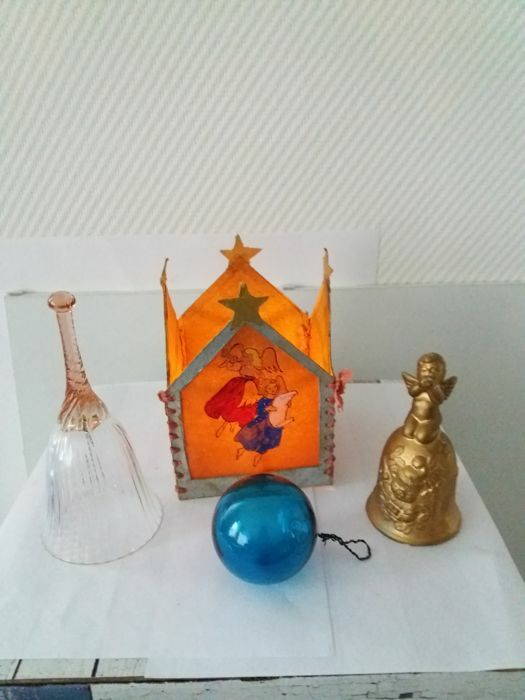 Vintage Christmas decorations, very diverse - Crystal, glass, porcelain, cardboard, ribbon, etc. 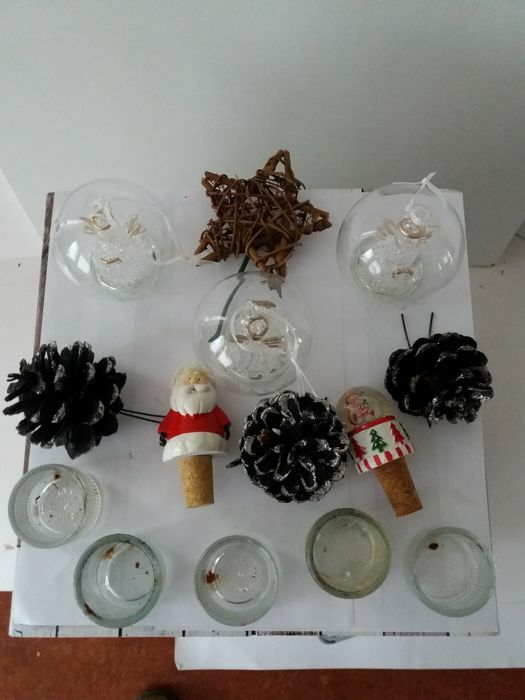 Crystal, glass, porcelain, cardboard, ribbon, etc. 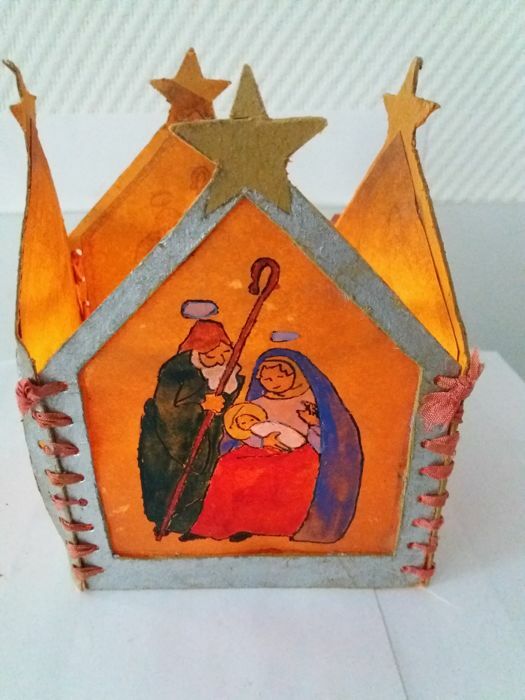 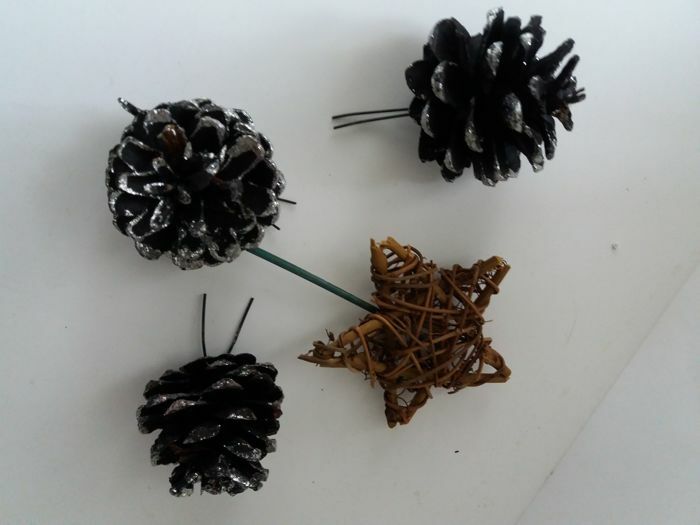 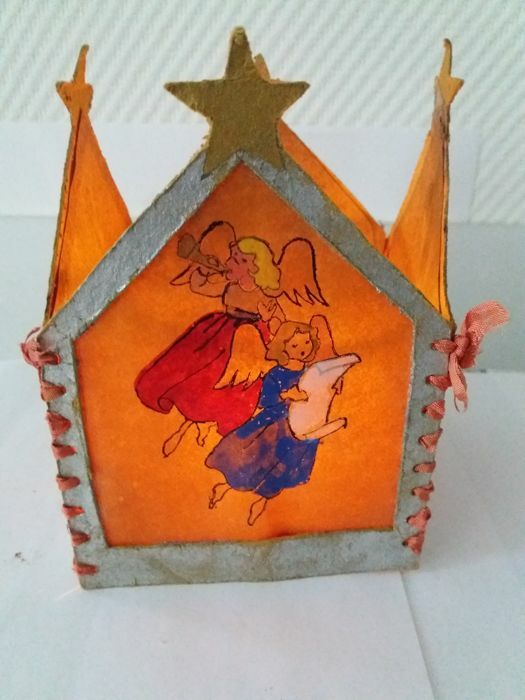 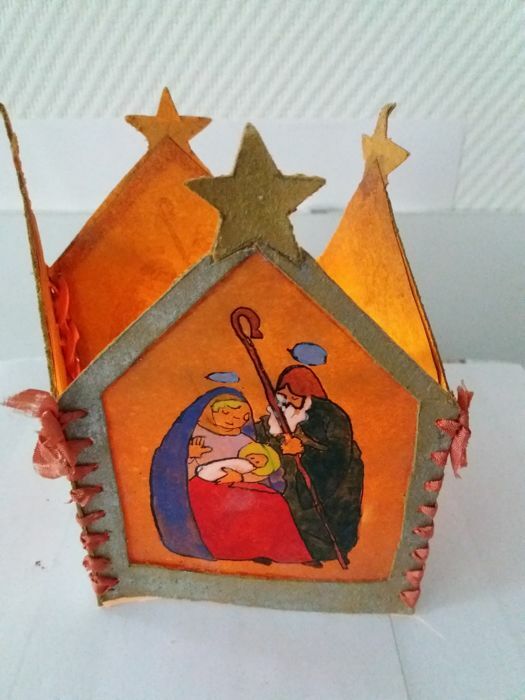 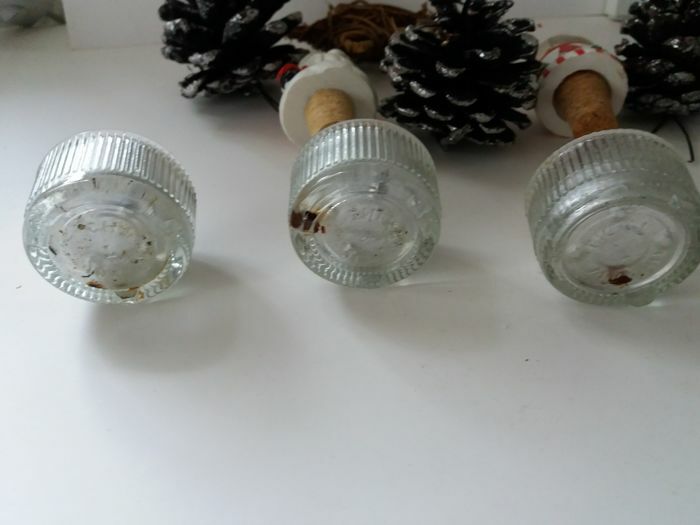 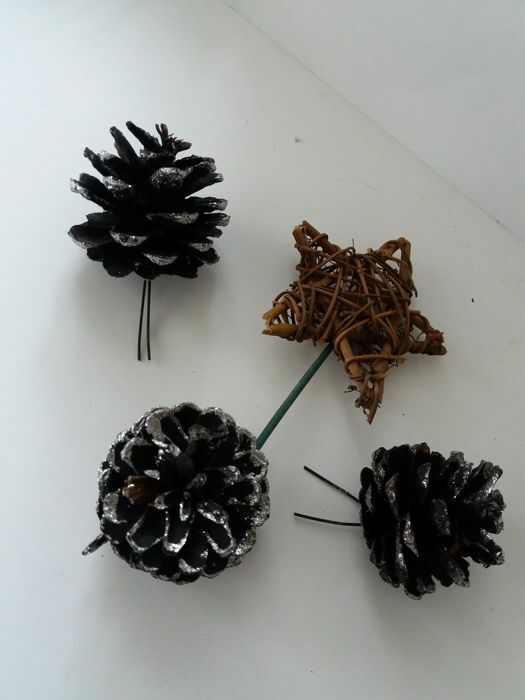 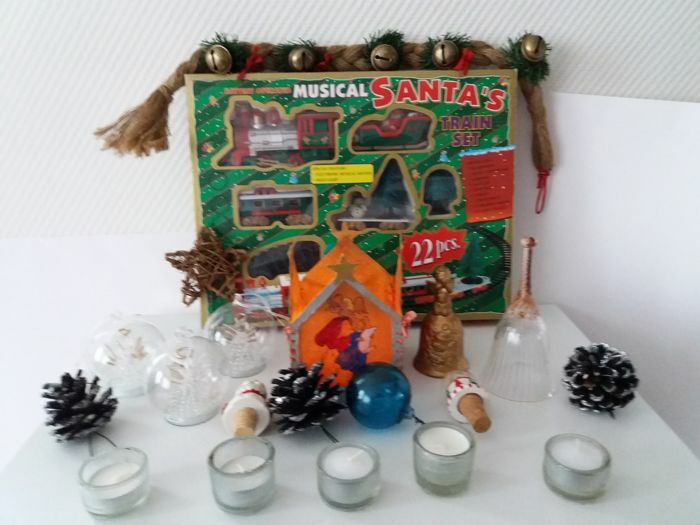 Beautiful attic find with various decoration for in and around the Christmas tree and in your interior. 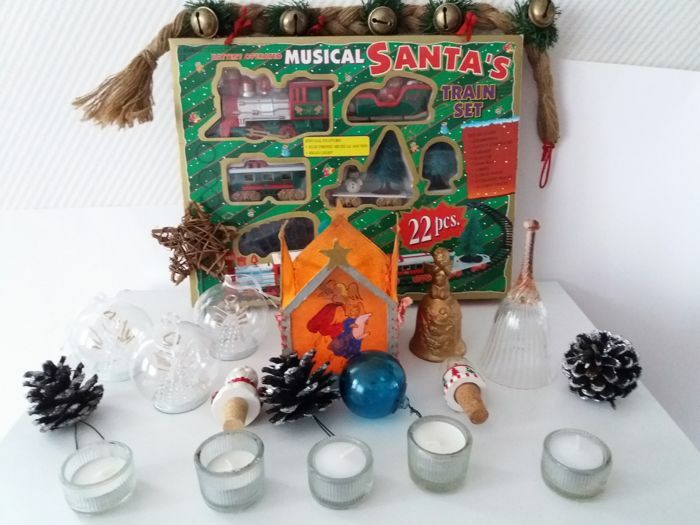 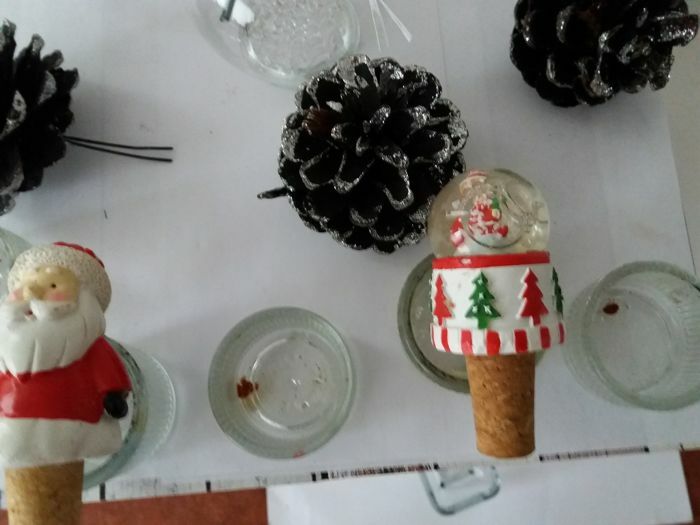 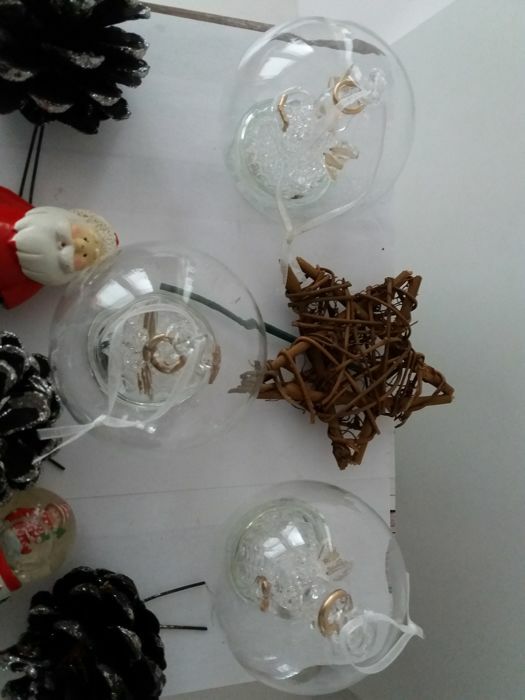 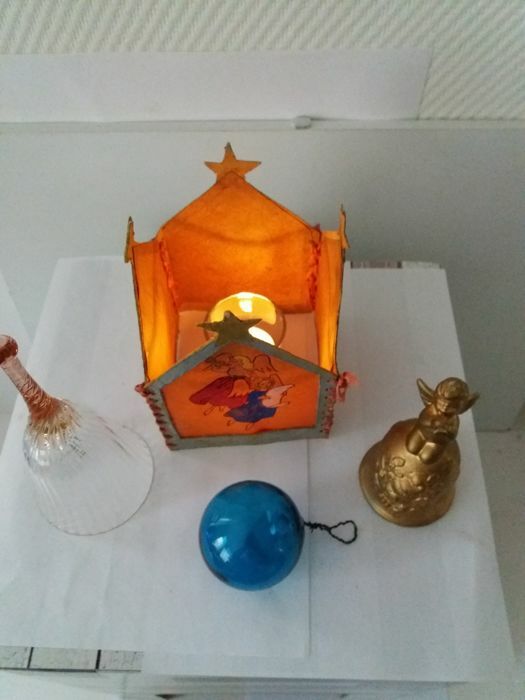 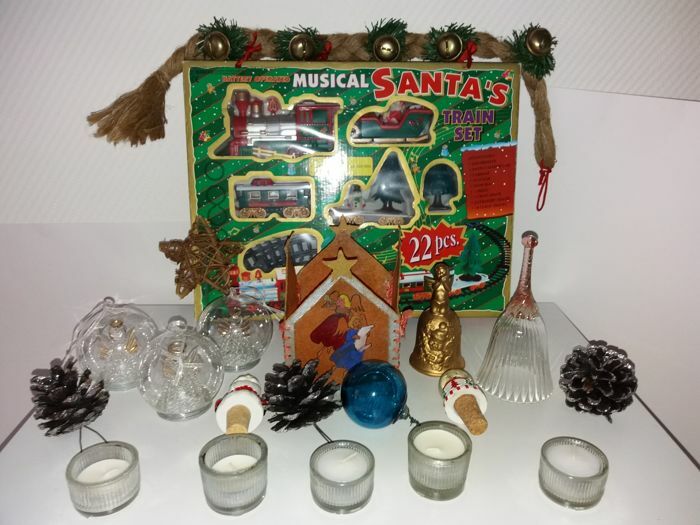 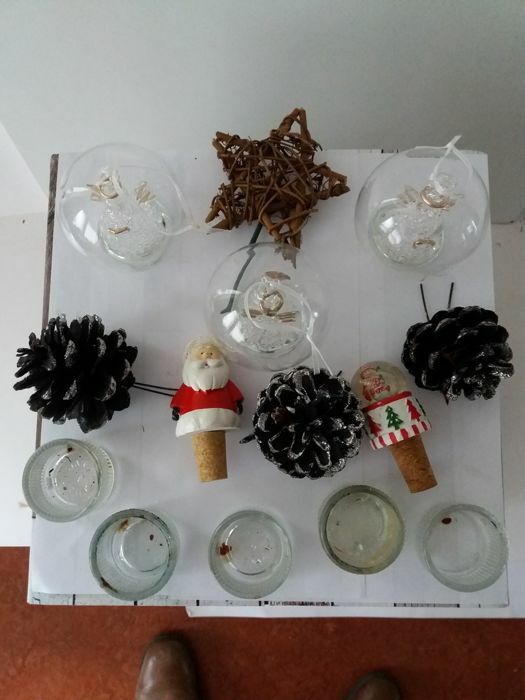 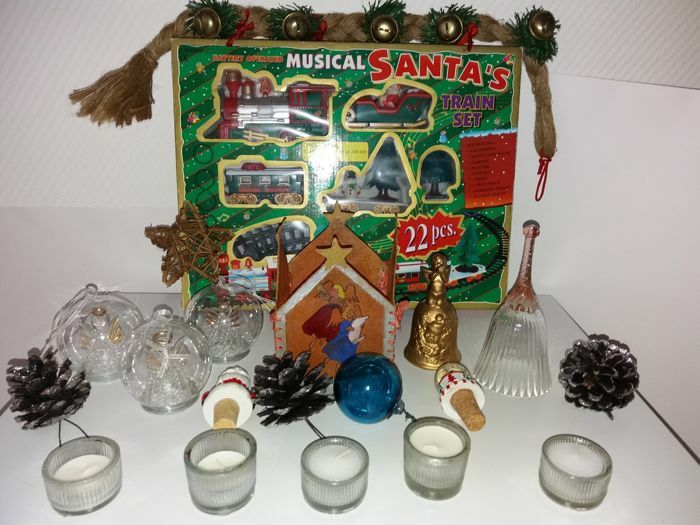 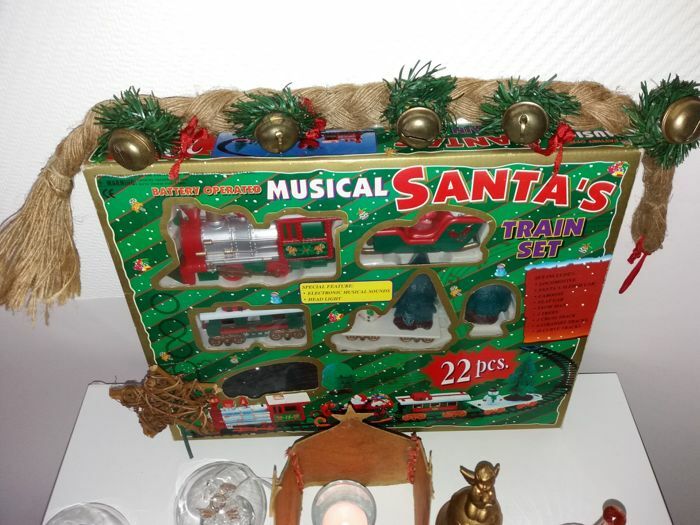 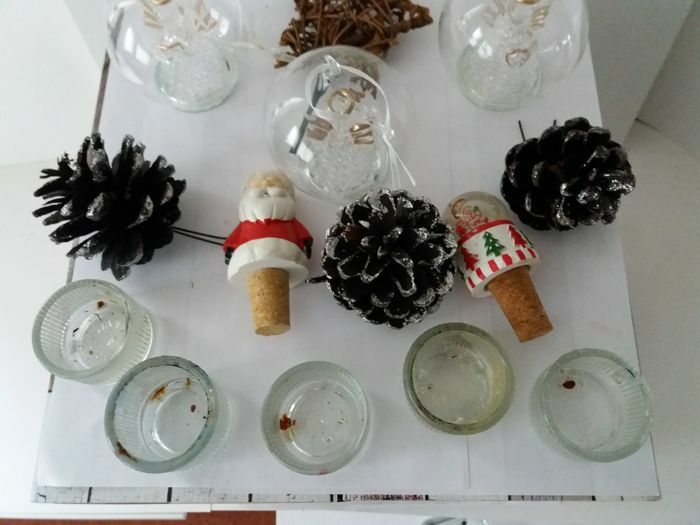 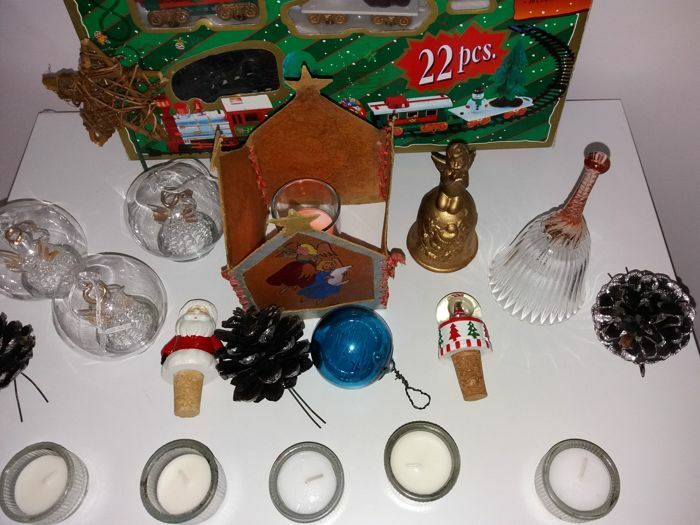 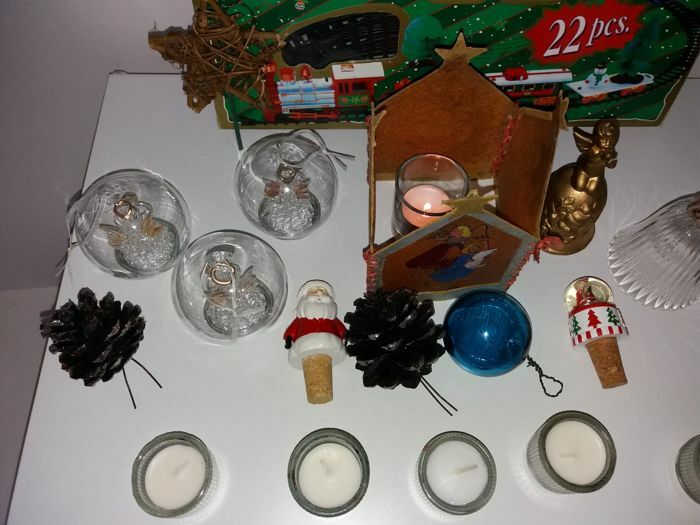 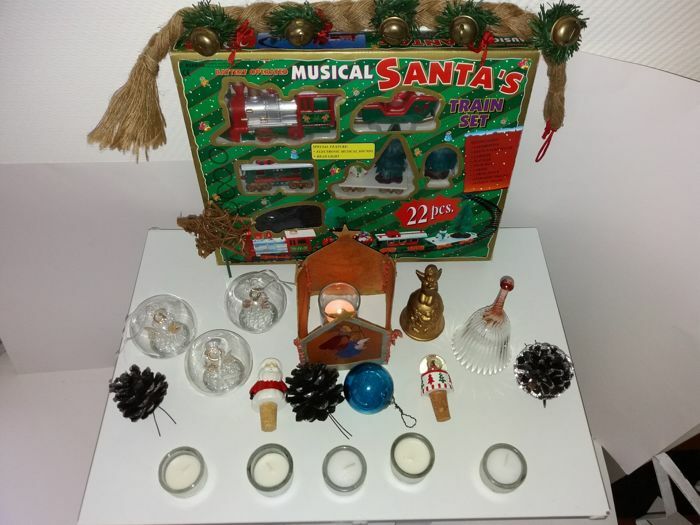 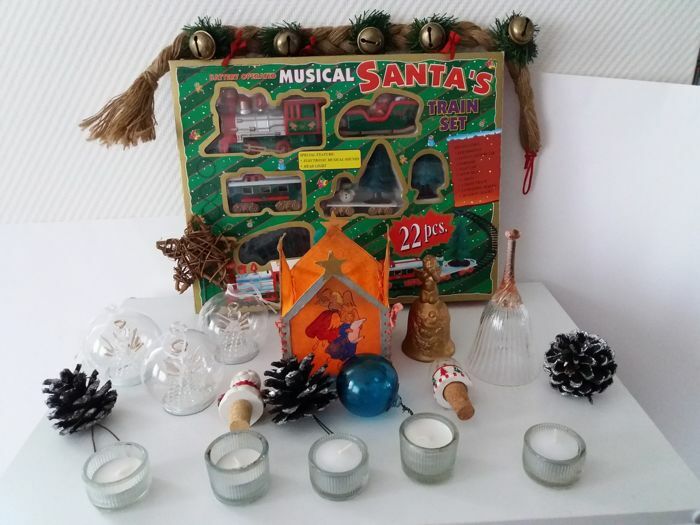 Including an old lantern, table bell, Christmas baubles with angels and other shapes, tea lights with old candle wax, including 3 with the text 'Waxine/T/Light', Christmas garland with 5 copper bells (beautiful around the door), a wooden star, 3 pine cones on picks, 2 Santa Claus cork stoppers, 1 snow globe, Santa's Musical Train set, clock. 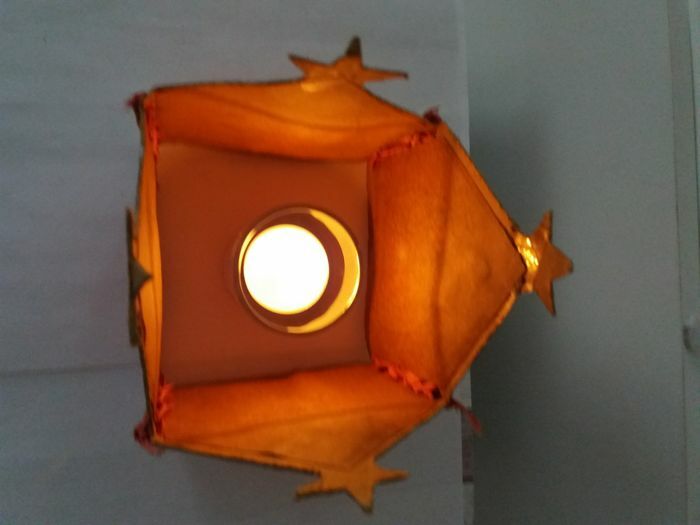 The old, vintage lantern features 4 images, length x width is 11 cm x 11 cm and its height is 16 cm. 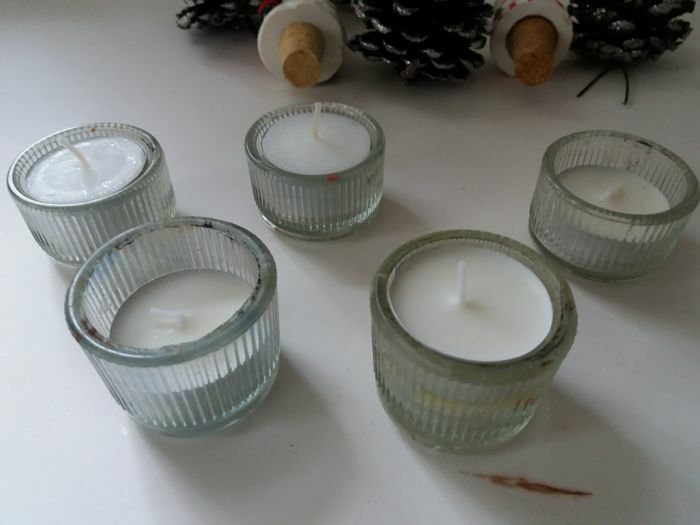 It is very calming to look at when you light a candle inside it. 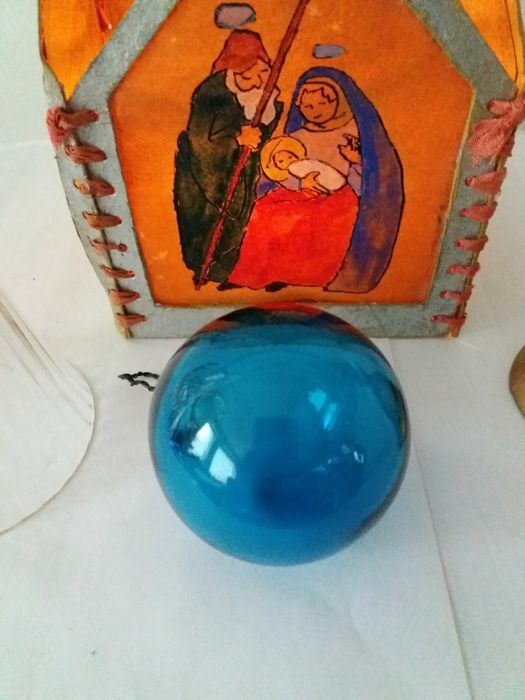 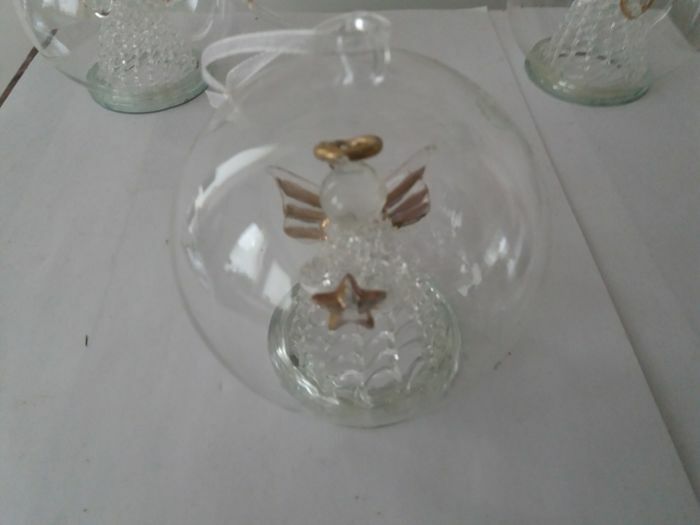 The old glass bauble weighs 300 grams. 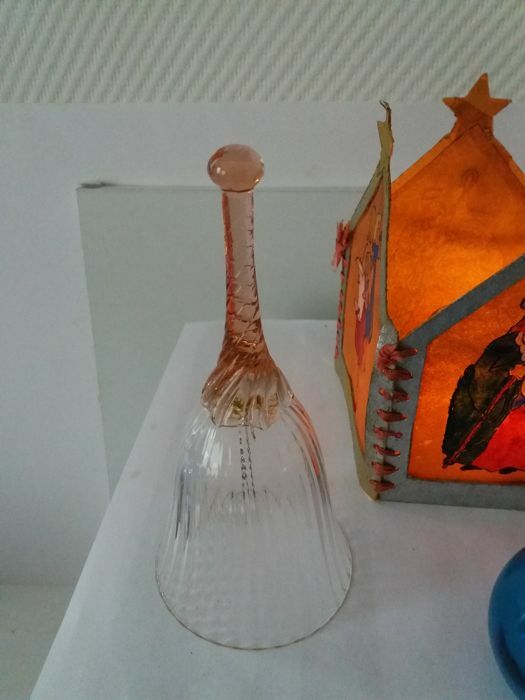 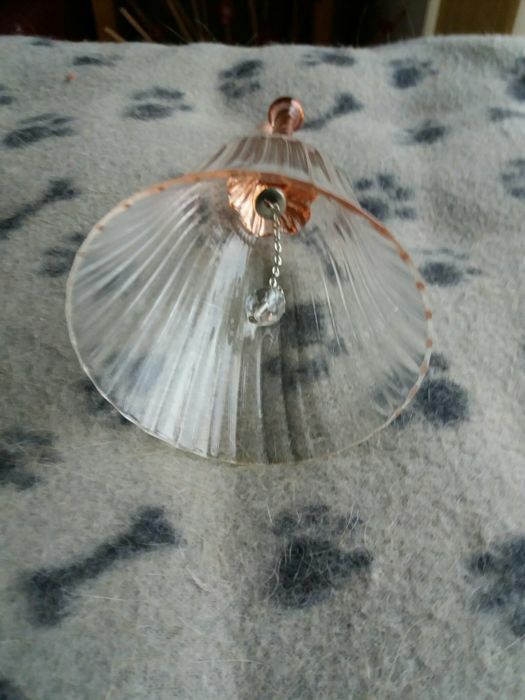 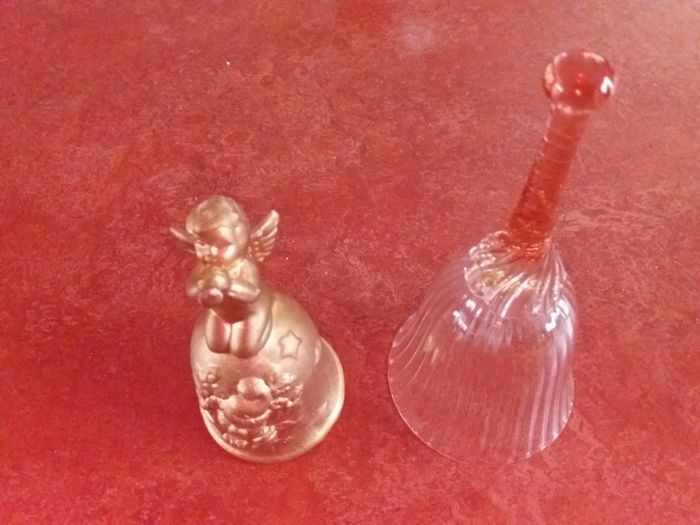 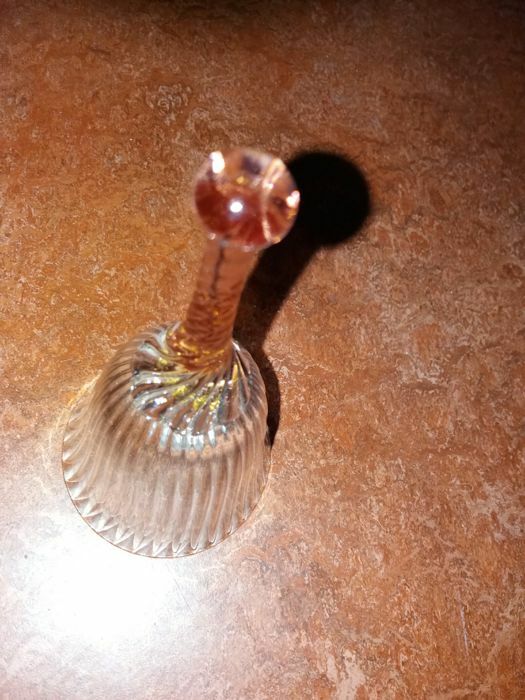 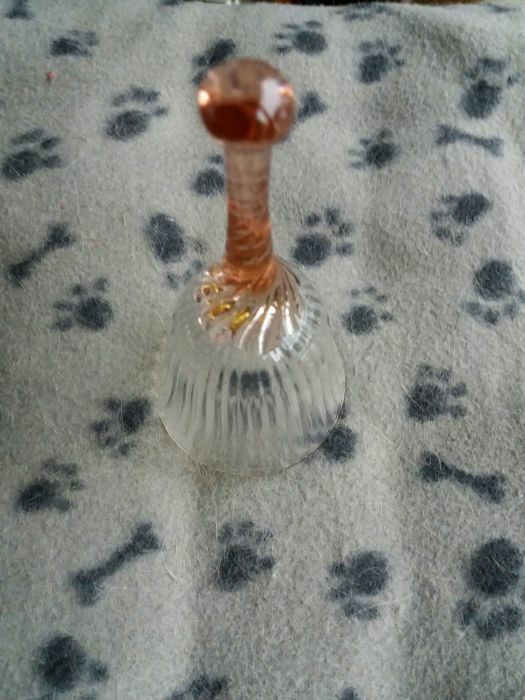 The crystal Bohemia table bell has coloured red glass, it is 15 cm in height. 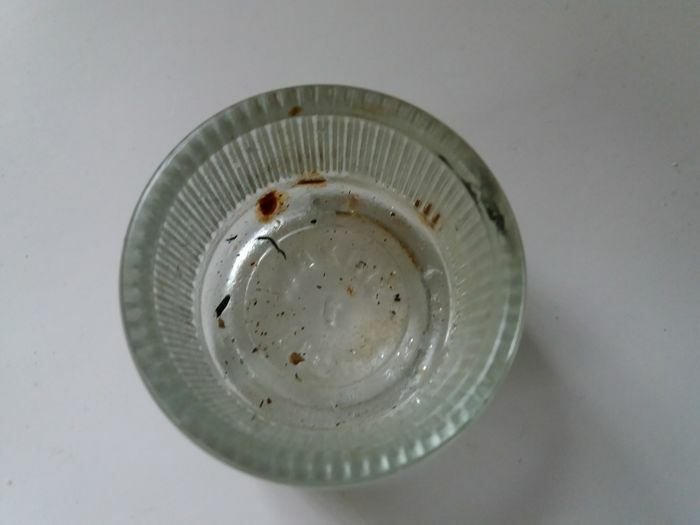 Diameter: 7 cm in an original box. 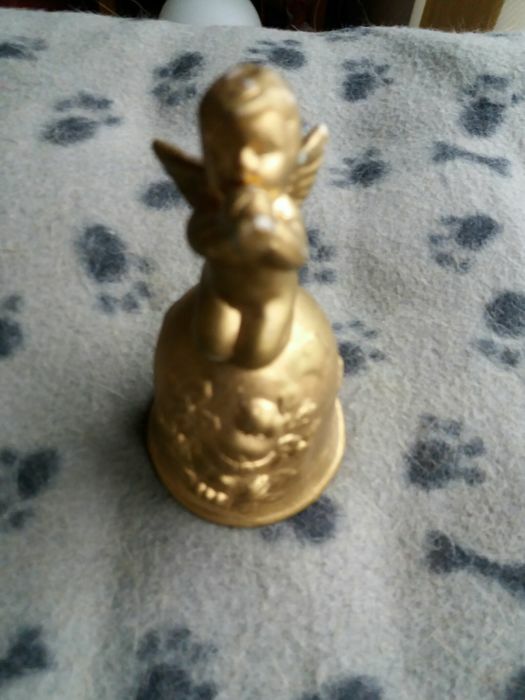 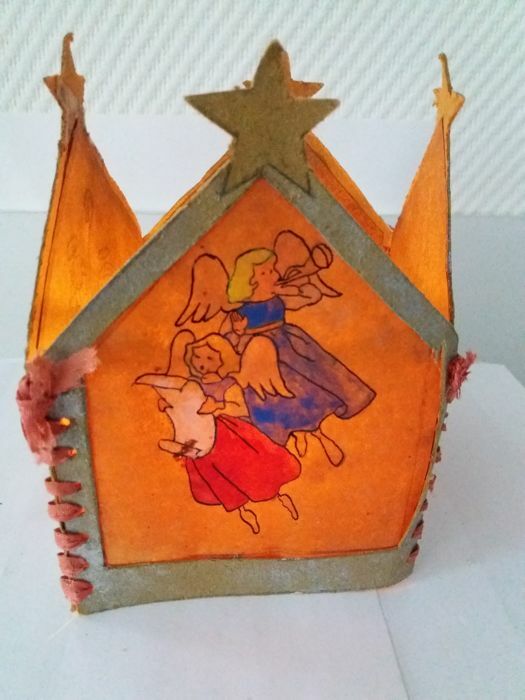 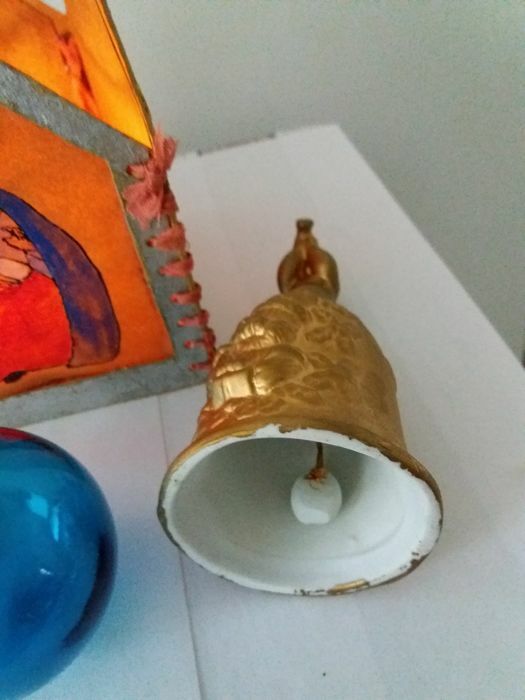 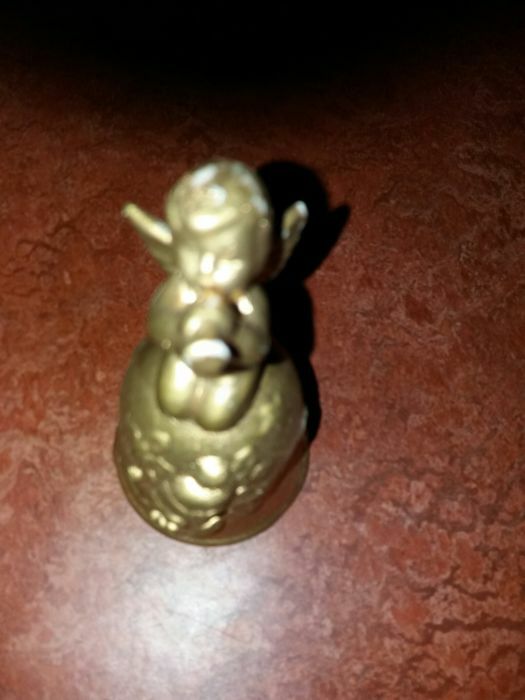 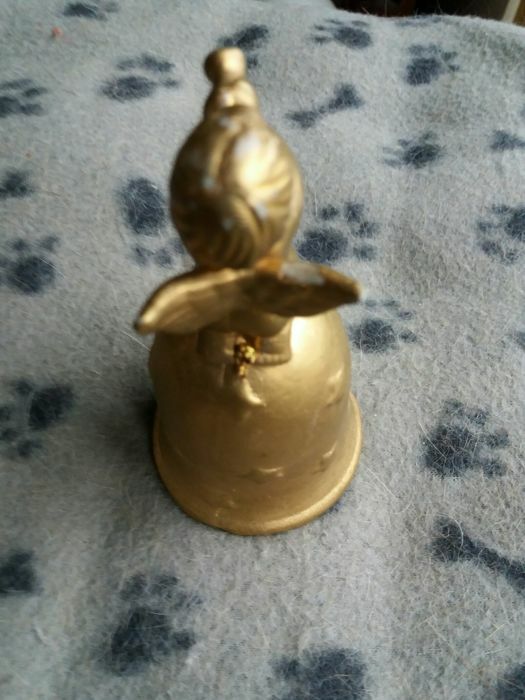 The porcelain Christmas bell with angels in approx. 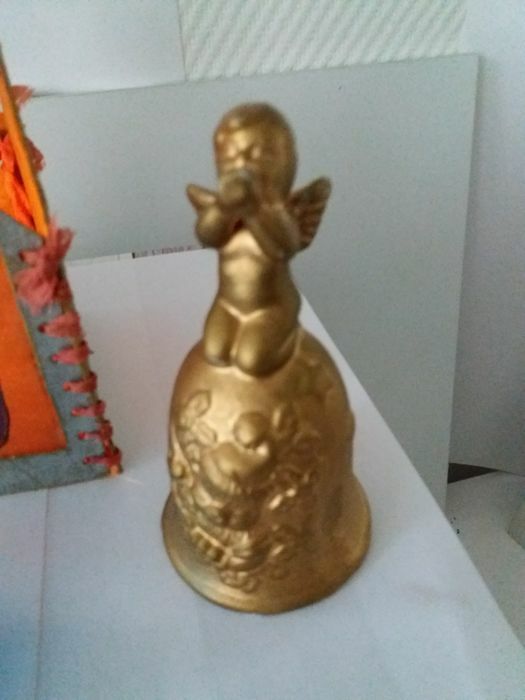 11 cm in height with a diameter of 6 cm. 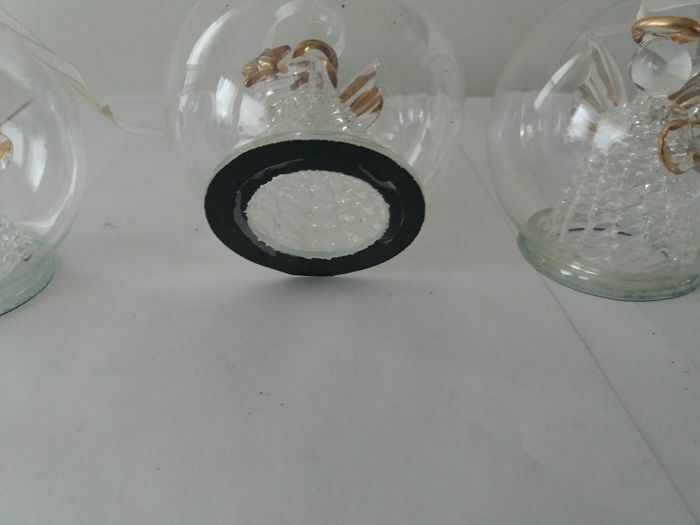 Will be packaged with care and shipped by registered mail.